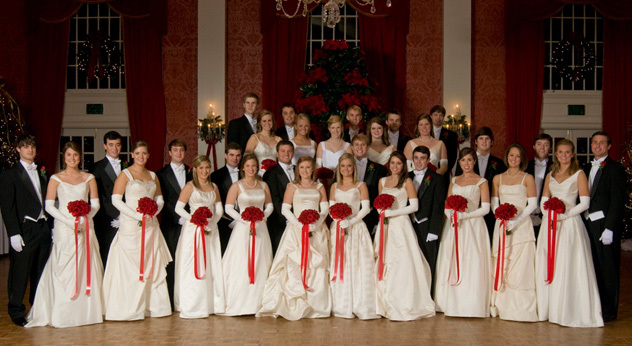 The Carolinian Debutante Club was founded in 1968 by forty-eight charter member couples as a social club with the purpose of presenting member daughters to society. The club’s mission is to help prepare these young women to take their place in the adult social world through time-honored traditions of social etiquette and planned events, culminating with a ball usually held the Saturday evening before Christmas. With the constantly evolving role of women in today’s society, it is the CDC’s goal to help our debutantes meet every challenge with the poise and confidence necessary to succeed in the world they will enter upon graduation. No less important, we strive to make this journey a joyous and memorable experience for all. Welcome to the Carolinian Debutante Club! Monday, October 7, 2019 at 6:30p.m. Saturday, December 21, 2019 at 7:30 p.m.